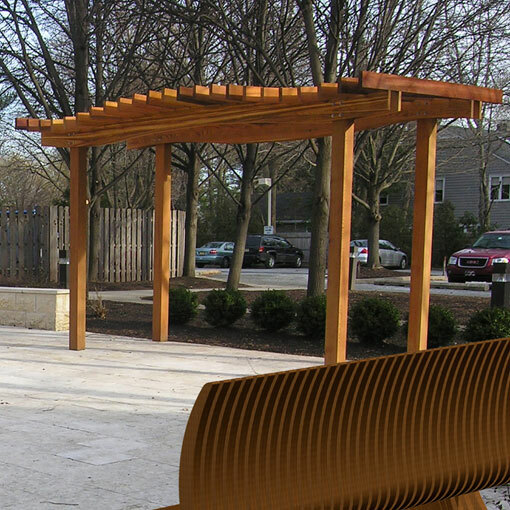 Set in “Jessica’s Garden” at the Princeton Jewish Center in Princeton, New Jersey, a simple undulating trellis provides a quiet sense of beauty and reflection. This butterfly-inspired structure is constructed of Alaskan cedar and measures 6 x 10 feet. 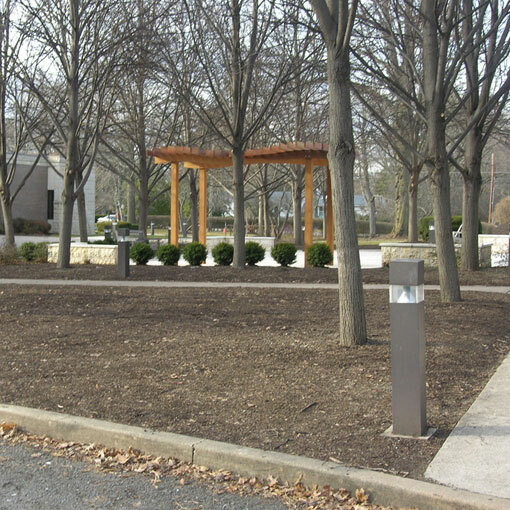 Built for and dedicated in the memory of a congregant’s daughter who passed, “Jessica’s Garden” serves as a place of remembrance where congregants can meditate and find a quiet peace. As butterflies were one of Jessica’s greatest loves, the trellis in her garden softly captures her spirit in a respectful and personal manner.